This workshop was on Tuesday 25 July; part of Contact meets Contemporary 2017. We stand in a circle and talk gibberish when asked to describe how we feel. Infact, we’ve been asked to talk gibberish – so we do! We stand in a circle and speak word sounds, nonsense, gibberish in a go-round – using gesture and facial expression to assist in our communication of how we’re feeling. Since it’s only the second day of the week long festival, I’m feeling okay! Next, we work with a partner and Oussama Cherief is my partner. Each of us dances for four minutes on our own, and then we tell the other what it was about. I watch Oussama. He lies; his back on the ground. At first there is no movement other than the rise and fall of his chest as he breathes. Then small movements – twitches, occasionally. His foot moves a little and stops; then a muscle in upper chest; then in his face. Small erratic movements; spasmodic. After four minutes his posture is unchanged – on his back, facing towards the ceiling with his eyes closed. Wow! What an amazing dance – so much with so little and such imagination, I say to him. Oussama tells me that the dance portrays his feeling of paralysis. I had met him the day before – at the opening of the festival. He is an immensely proud man with great dignity: immaculately groomed and smartly dressed. 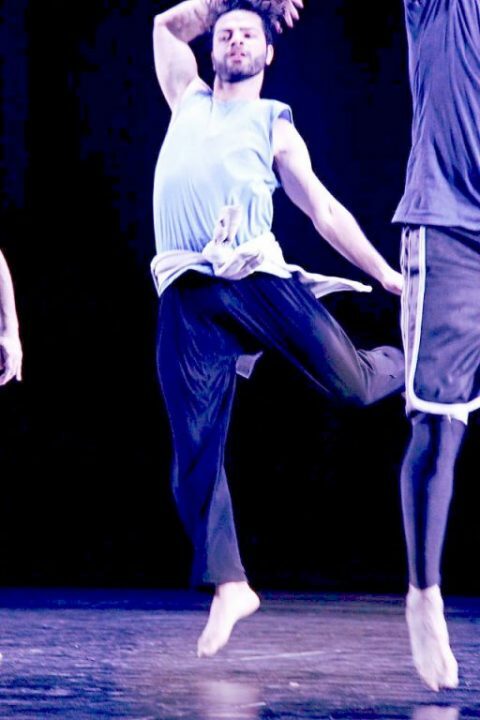 He came to the festival from Algeria where he lives and where he leads in a national dance organisation. He was the only one of three colleagues granted a visa for the visit. It frustrates him. 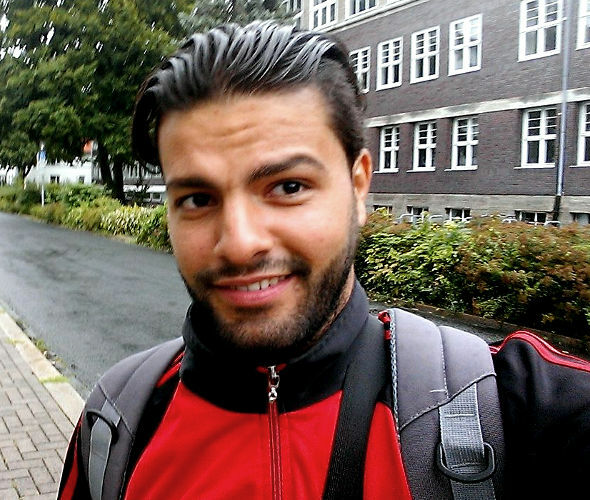 At the airport in Germany, he was extensively questioned by the police, apparently because he was from Algeria. He jokes about his name with me at one point – being called Oussama – like another but infamous Oussama! Then I dance for four minutes to Oussama. I feel a mixture of things but nothing overwhelming and I don’t find a particular direction for my dance. It’s rather dull infact. We all gather back in a circle and people volunteer their thoughts about the dances which they danced and observed. Now we have another exercise: we dance with our partner. Oussama is new to contact improvisation and he is feeling his way alittle – there’s not been many workshops yet for him to explore and learn contact improvisation. But we dance very gently with contact in our arms, shoulders, head and upper body. I can’t help but to talk. I really know very little about Algeria but I recall a film set in Algeria about the French Foreign Legion called Beau Travail, I say. It’s by director Claire Denis and it has this fantastic closing sequence when the commanding officer – played by Denis Lavant – dances alone.